The Department of Sociology supports the Rollins College mission of providing students with a high-quality liberal arts education and preparing students for active citizenship in a global society. A major in sociology offers excellent training and background for careers in education, law, medicine, business, political activism, and the non-profit sector. We are not just individuals; we are part of a larger society. Understanding this larger social context is essential for thoughtful and responsible citizenship. Adhering to the liberal arts ethos, sociology examines how human values such as freedom, tolerance, equality, and community are shaped by compounding factors such as gender, class, and ethnicity. 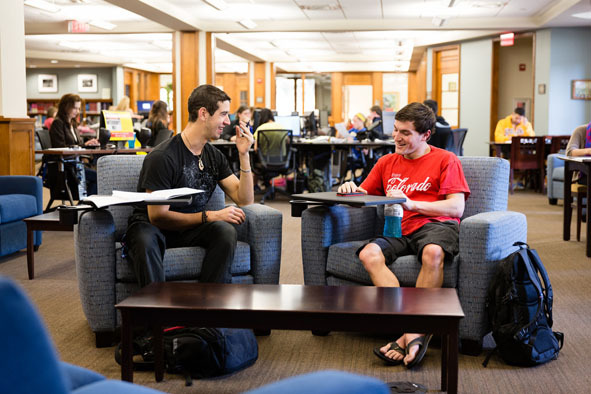 The Department of Sociology at Rollins consists of three full-time professors; classes are small, most with fewer than twenty students; and majors are afforded considerable opportunity to interact personally with the faculty, engage in service learning and research, and to receive individual instruction. A major in sociology offers excellent training and background for careers in education, law, medicine, business, political activism, and the non-profit sector. Learn more about the career options for sociology majors in these articles.